... couldn't put the birdhouse together again. When planning our little backyard garden, I wanted the three gravel paths to lead to a focal point; in this case, a decorative birdhouse on a pole. we had one particularly windy storm that blew the birdhouse off the pole. This is what we were left with in the center of the garden. it broke in almost every place it could, and then some. It looked like a goner. hubby and I finally decided to tackle this project last weekend. with the windows and door on all four sides and the decorative cupola. distressed look would be just fine with me! And so here it is, in all its weathered glory. With L brackets, screws, a nail gun and glue holding it together from the inside. 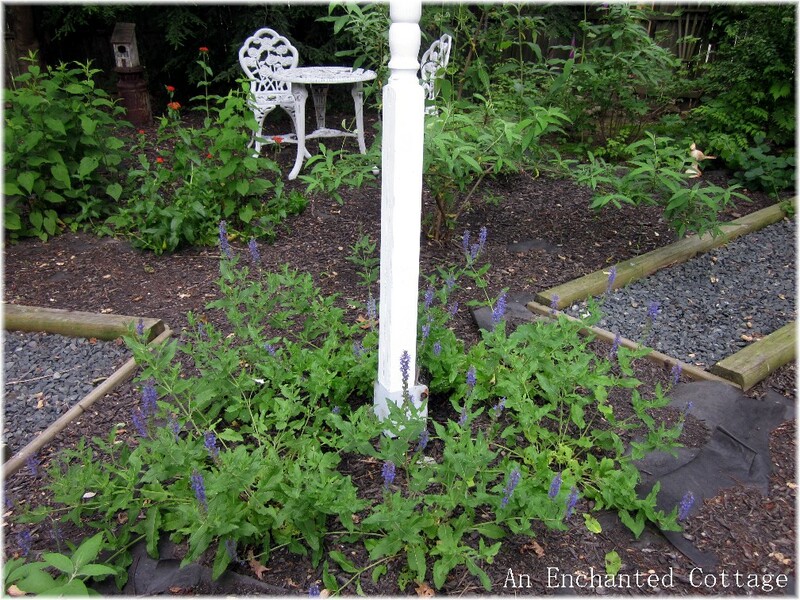 Once again standing proud in the center of the garden, just in time for the blooming salvia that I planted around its base several years ago. 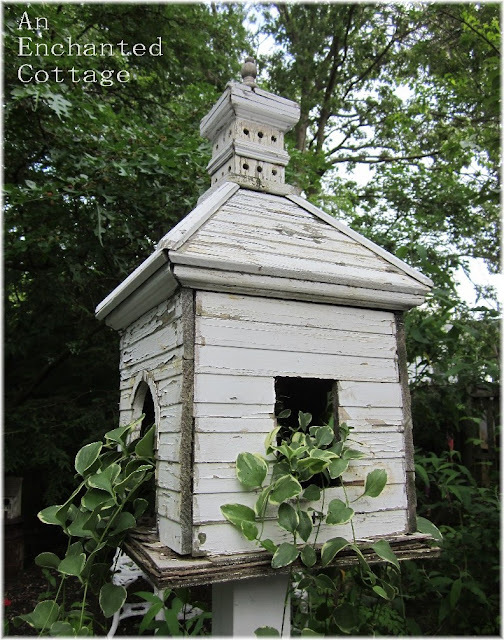 I also tucked a little vinca vine pot inside each window and door. By summer's end, it will be touching the ground for sure. 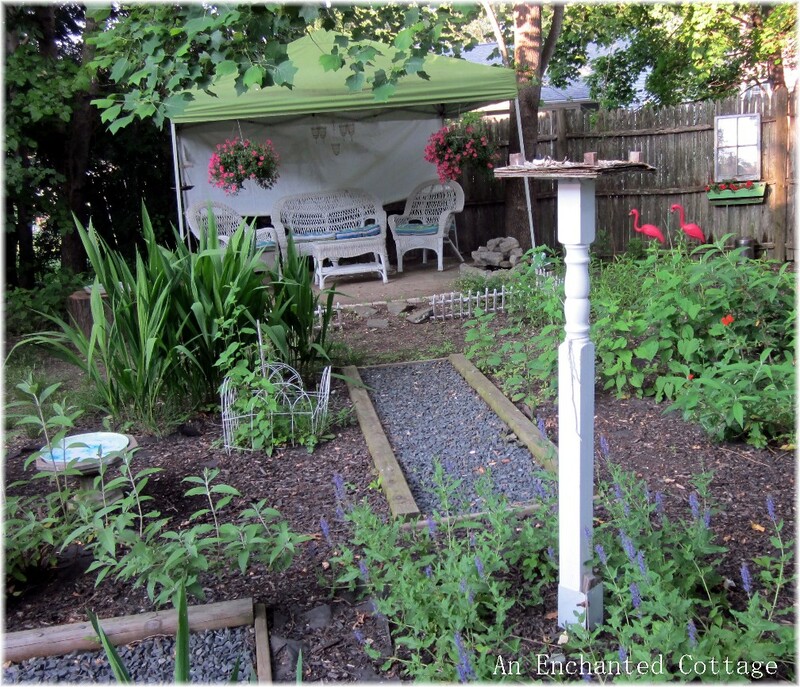 But that minor detail isn't stopping us from enjoying our little garden! and a short video of that very soon! 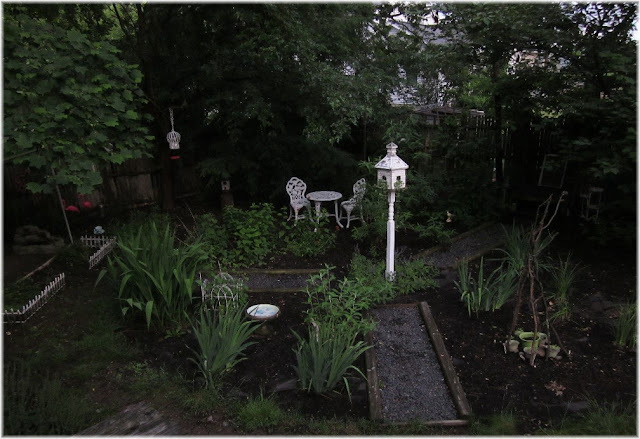 I still can't get over the transformation in our little backyard over the past 5 years. Our above ground pool once sat in this section of the yard, right off the deck so I could easily watch the girls when they were young. But by 2007 they had outgrown the pool. It was hardly ever used, so we took it down. It was at that point that I dubbed our backyard "Roswell" because it looked like a flying saucer had paid us a visit! Fast forward five years, and here's a pic of old Roswell as it looks now, taken from the same vantage point up on the deck. What a difference! I hope you're all enjoying summer in your neck of the woods! Donna what a beautiful trasformation. I would love to have a backyard as quaint as yours. I also love how you used the canopy. It looks really nice with your wicker furniture tucked under there. 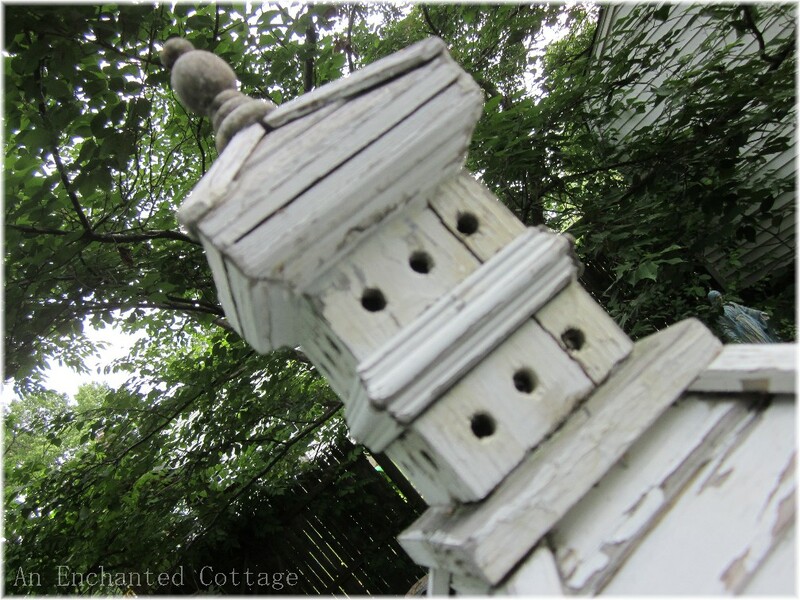 Oh I almost forgot..I agree, the bird house was worth keeping. Love what you've done with it. Oh my, that's quite a difference! 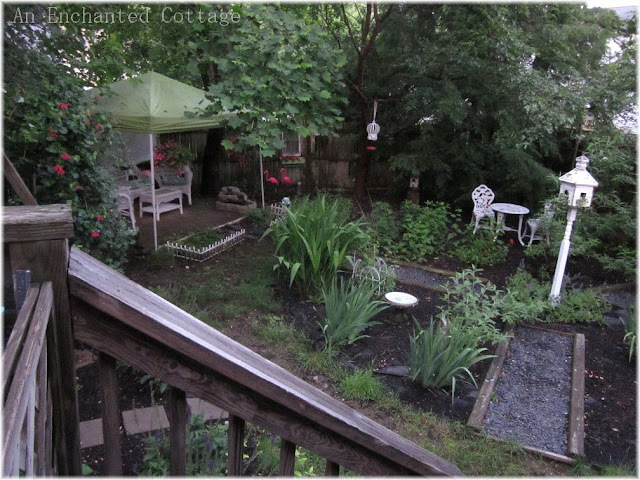 I'd love to have that yard. I can't believe you put that birdhouse back together. Looked like a goner! What a fantastic transformation! 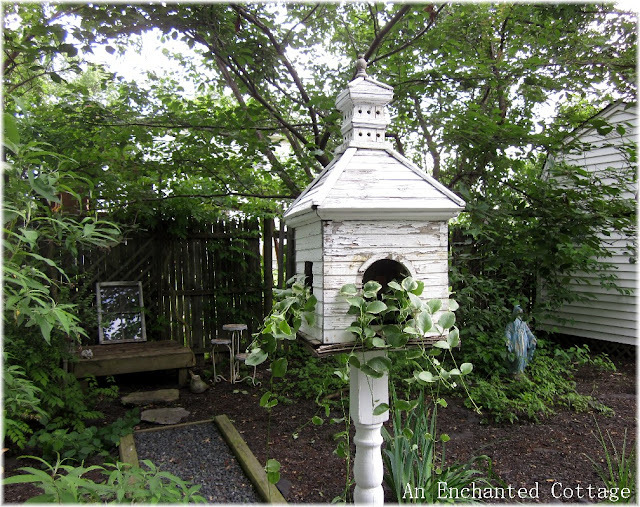 I love the bird house! Great job gettingit all back together. Found your link on Faded Charm. 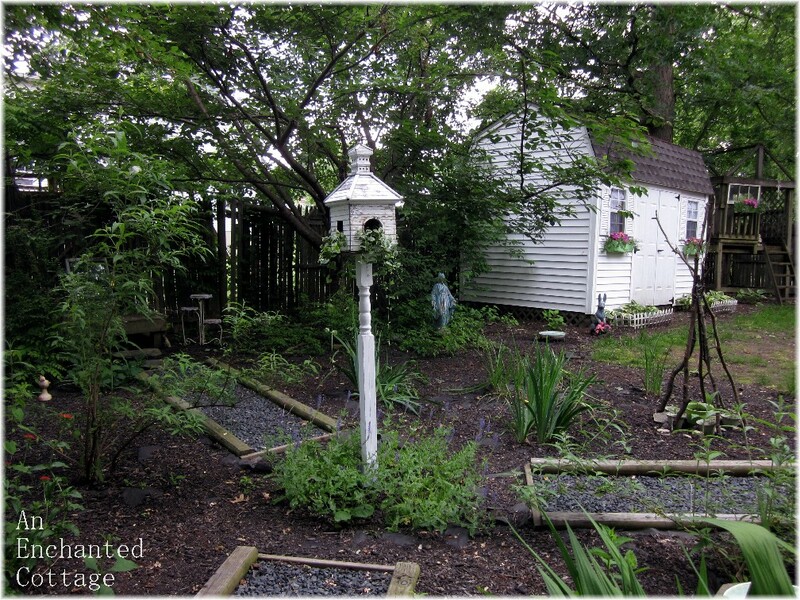 You've done a wonderful job on your garden. 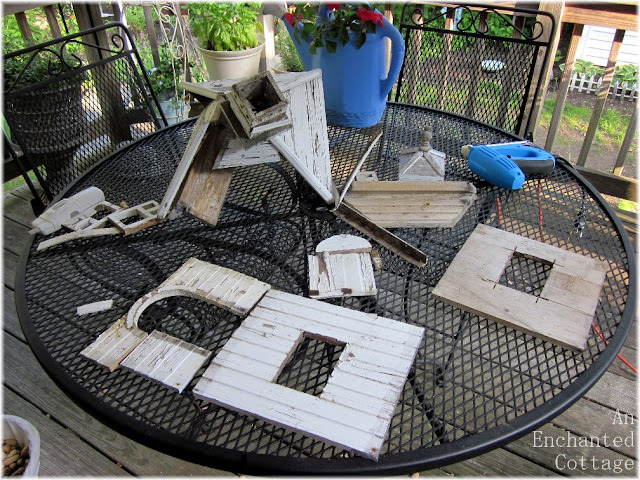 And, a great job with the birdhouse as well. Hi Donna, hopped over from fishtail Cottage. I love your rustic birdhouse! I'm afraid if my hubby had seen that pile of pieces that he would have said it was trash for sure. Luckily he is easy going and I may have been able to convince him as you did your hubby. Your yard truly has been transformed into a cozy retreat. I would love if you would share this with my link party, Share Your Cup Thursday. I am now following you. 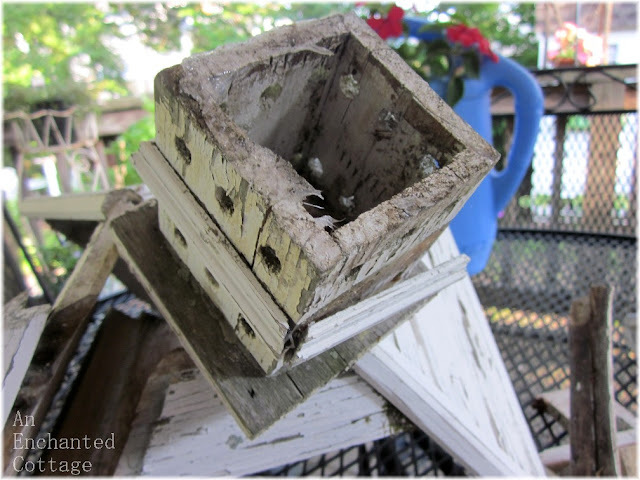 I love that you salvaged the bird house! I hope it last many years into the future! Love the "Roswell" garden! That's funny! 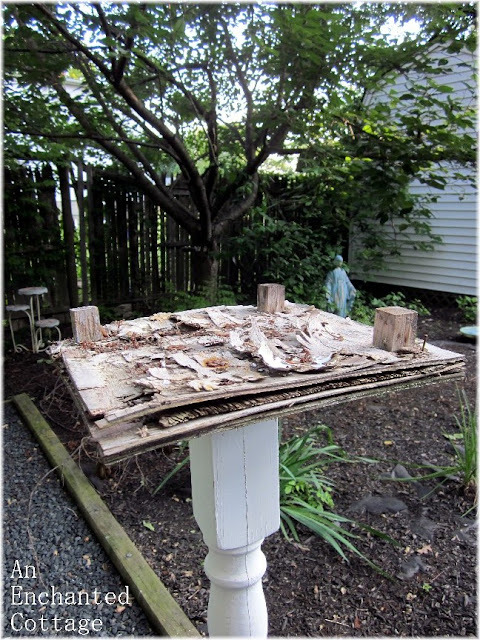 Something similar happened here after we took down a pool. I got the idea to use the flat area we had created for it to make a patio....suddenly we were putting in a flagstone patio and the rest is history! Your space looks great and I appreciate this kind of creation as I know just what goes into making it! Love our humor, Roswell indeed! 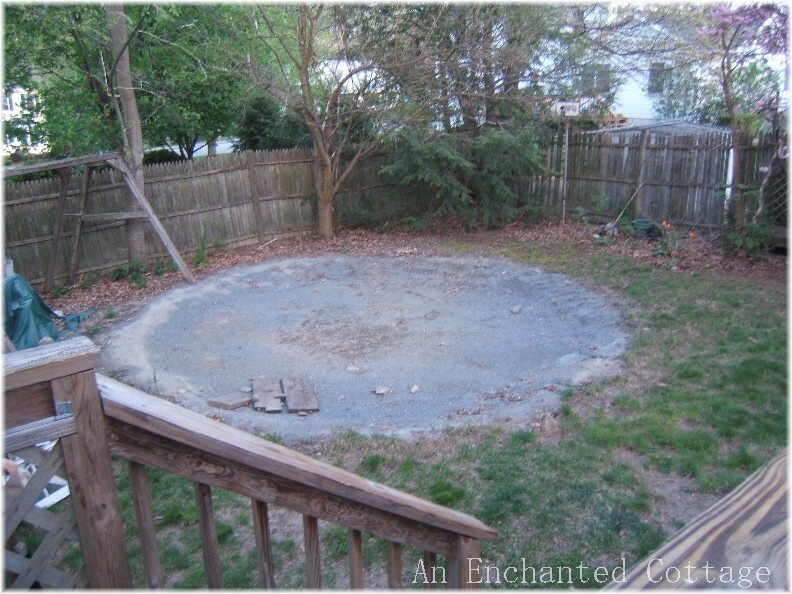 We used to have an above ground pool and I love how you transformed your 'Roswell'circle. 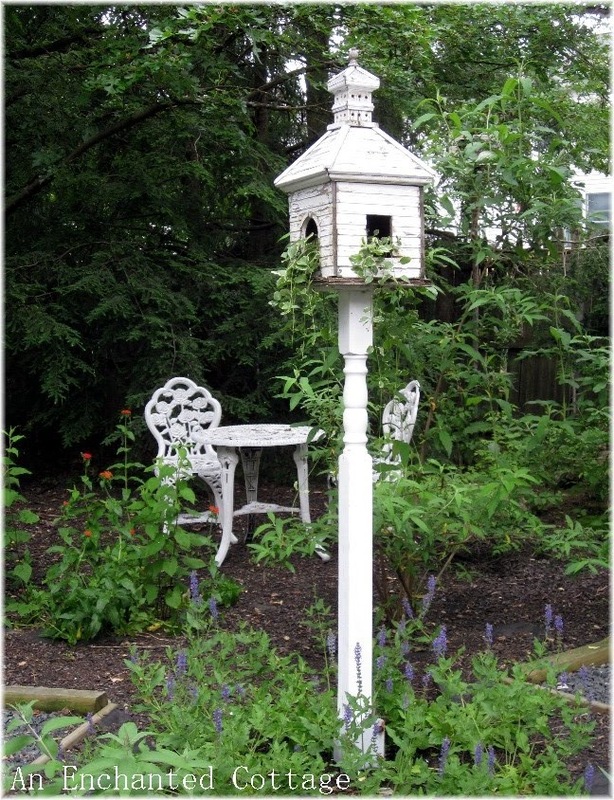 You did a great job in saving the birdhouse, it is lovely and just make the garden.